John Steele & Prenda Law Caught Lying. Sanctioned $500,000. Monday’s order against John Steele / Prenda Law Inc. / Steele|Hansmeier (no matter which of these entities hurt you through their “copyright trolling” activities) is nothing other than a wonderful victory for justice, and I thank and commend the lawyers involved in bringing justice to one of the worst sets of copyright infringement (bittorrent-based) cases I have seen in my law career. My apologies for leaving attorneys out of this (as there were many who were involved in making this happen) and for my lack of recollection of the details, but immediate kudos goes to Paul Godfread who served John Steele while he got off of an elevator as soon as he realized that his client Alan Cooper (who did landscaping for Steele) had his identity stolen by Steele and his signature forged as the mastermind behind all of the bittorrent cases. This was a common theme in Steele’s lawsuits — pick a patsy (whether it was Alan Cooper, Mark Lutz [his paralegal], or Paul Duffy [rest in peace]), elevate that patsy to be the “mastermind” behind all of the lawsuits, hire local counsel across the U.S. to file lawsuits, and run every lawsuit like the captain of the ship while being tied to none of the lawsuits for liability purposes. The story goes much deeper and it involved many twists and turns, but bottom line, through the hard work of Paul Godfread, Morgan Pietz, Jason Sweet, Erin Russell, Steven Yuen, David Madden, and so many more attorneys that I cannot even remember, AND the almost daily blogging by bloggers such as Sophisticated Jane Doe (FightCopyrightTrolls.com) and DTD (DieTrollDie.com), none of this would have happened and these guys would still be suing hundreds of John Doe defendants at a time in their newest scheme (whether that be accusing defendants of violating the Computer Fraud and Abuse Act (“CFAA”), or shaking down companies for violations of the Americans with Disabilities Act (“ADA”), etc.). Most importantly, as of Monday, the “Alan Cooper / Paul Godfried” case defending against Steele and Prenda Law Inc. (Case No. 1:13-cv-01569 in the ILND Court) [also known as “Prenda v. The Internet”] has been won. Judge John Darrah (IL) awarded the defendants $162,448.74 in attorney fees and costs, $11,758.20 in sanctions, AND $500,000 in punitive damages (see Judge’s Order). 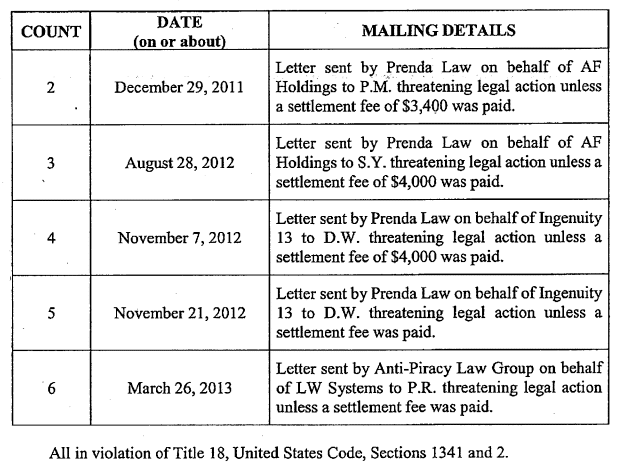 Now I am no longer sure whether Prenda Law Inc. has the assets to pay these fees (because if I remember correctly, as part of their scheme, they siphoned the $4-5 Million or so in settlement monies out of the law firm and into an offshore trust in Nevis. My opinion is that justice is slow to act, and while this is a good result, it does not benefit any of the thousands and tens of thousands of defendants who had their lives destroyed and their savings decimated by these attorneys. I still think that the justice system failed its people because judges got lazy for years and failed to stop the racket, even when they knew of their activities. Even today as an outgrowth of the Prenda Law Inc. / Steele|Hansmeier empire, we find Malibu Media LLC lawsuits, Voltage Pictures lawsuits [including Dallas Buyers Club LLC, Fathers and Daughters Nevada LLC, Cell Productions, Criminal Productions Inc.], and too many other “copyright troll” lawsuits which are still rubber-stamped DAILY in the federal courts by judges who ARE AWARE and who WERE AWARE of the “mass bittorrent lawsuit / copyright trolling” problem when the cases initially were filed as early as 2010. No Orange Jumpsuits Predicted For Prenda Law Inc. Just sanctions. I hate to see that it has been almost seven years since these cases started showing up (six years for team Prenda), and nobody has been jailed. Judges have failed to guard the gates leading into their courtrooms. Attorney Generals have sat on their hands and done nothing. Lawmakers have done nothing. Bar associations have done nothing. Thus, I continue to defend these cases in whatever form they have changed into, but I too remain jaded. This result is a good result, and the FBI/DOJ/IRS so-called investigations are nice to see (referring to SJD’s web logs of individuals visiting her blog), but I am not moved nor is my heart [on behalf of all those who have been affected by this] made whole by this ruling. Okay, I didn’t expect to go here with the blog article, but in short, awarding $500,000 in damages against Prenda Law Inc. is one wonderful step in the right direction. I just still want to see orange. bittorrentcopyright trollidentity theftJohn SteelePrenda Law Inc. I Predict No Orange Jumpsuits For Prenda. Just sanctions. For those of you who missed it, you can watch the entertaining video here (fast forward to the tall guy). As a quick recap, two years ago, Prenda Law was caught forging the name “Alan Cooper” on the copyright assignment documents which gave them the apparent authority to sue on behalf of their clients. The “real” Alan Cooper (John Steele’s gardener) who was the victim of identity theft hired an attorney, showed up at one of Prenda’s hearings, and served John Steele with his own lawsuit. I don’t know how to explain what happened in a recap other than that the whole “house of cards” that was Prenda Law Inc. was unraveled — not because of the Alan Cooper forgery issue, but because John Steele couldn’t stay away from the cases when he successfully made the courts believe that he sold his Steele Hansmeier PLLC law firm to Paul Duffy. Shortly afterwards, he resumed making phone calls and openly running things himself, and he started showing up at hearings and speaking to the judges. This is what tipped off Judge Otis Wright to ask who the real parties in interest were in these lawsuits. Personally, it jaded me a bit to see that after being caught (having their grand scheme exposed by good lawyers), the lawyers for Prenda continued their stories of misinformation by lying under oath in their depositions and in court proceedings. Further, I was annoyed when I learned about the scheme unfold in its entirety, including the creation of various offshore entities created to funnel settlement payments, and where Prenda peddled the blatant lie that Mark Lutz (the paralegal) was the mastermind behind the lawsuits. Being behind the scenes when all this was happening, I was also hearing about issues of Prenda Law lying to, not paying, and in one notorious case, turning against their own local counsel who put their law licenses in jeopardy to file the lawsuits on Prenda’s clients’ behalf. Lastly, there were even more issues that I was privy to that never even made it into the courtroom, namely what appeared to be a credible accusation that Prenda Law Inc. was uploading and seeding their own clients’ content on the bittorrent networks — the same bittorrent swarms in which they sued the internet users for downloading the content they uploaded. My own thought process was that the proper judicial response was 1) for the federal judges to serve as the “guardians of the gates” of the federal courts [e.g., to kill the copyright infringement cases as they are filed based on principles of improper joinder, etc. ], and 2) to prevent the attorney(s) at this point from practicing law through the remedies of suspension and disbarment through their local bar associations. If the attorney persists, the attorney(s) should be charged with the unauthorized practice of law. Yet none of this happened. 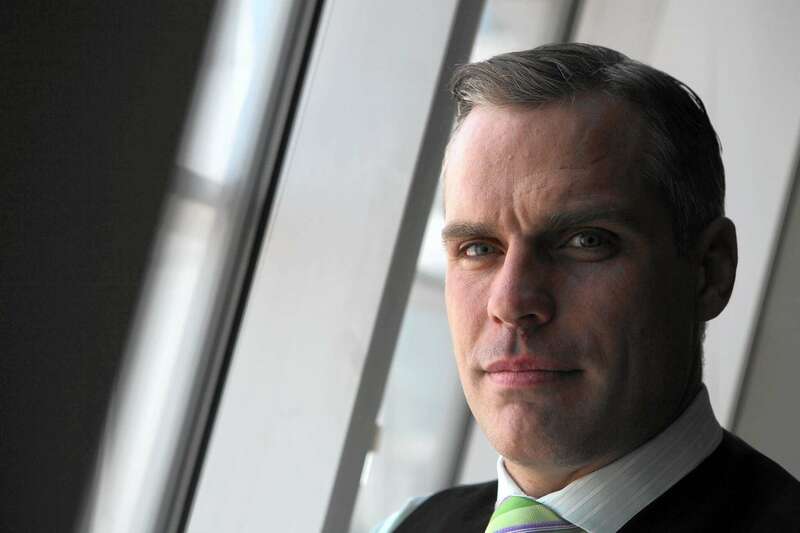 A lawyer (who for the purposes of this article will remain private) filed ethical charges against John Steele to have him disbarred, and in return, Steele filed ethical charges against him [a story for him to tell, not my secrets to tell]. Then, Steele at some point appeared to have voluntarily disbarred himself and retired from the practice of law, and his organization went inactive in the Illinois state registry. Yet his involvement in the cases persisted. Thus, I was not surprised when Judge Wright wrote his order sanctioning John Steele, the Hansmeier brothers, and all those involved in the conspiracy. What surprised me was their hubris in that they continued fighting after they already lost. This is why I call the Prenda Law fiasco a “circus.” Everybody continues to argue in circles, but nobody goes to jail. So, getting back to yesterday’s hearing (YouTube Link), there were THREE ITEMS that I took note of in what was perhaps the most entertaining 3-panel judge hearing I have ever seen. ITEM 1) John Steele and the Hansmeiers were quite upset that Judge Wright implicated them as having broken criminal laws, and even though they were never charged for the violation of those laws (which I could only guess include identity theft [forgery], extortion, perjury, fraud, and perhaps even money laundering and/or racketeering). [NOTE: There were other acts allegedly committed, including the unauthorized practice of law, violation of countless ethical rules including compensating a non-attorney as a partner of the law firm, alleged tax evasion, and misuse of corporate structures after they were dissolved, etc.] Many of these acts if looked into could make the principles of the law firm personally liable for any charges without the protection of a corporate entity. They appear to have hired attorney Daniel Voelker for the sole purpose of disputing the $200K+ in sanctions awarded against them because Judge Wright implicated them in a lawsuit which they tried their darnedest to keep at an arms length through the use of legal structures, funneling money into offshore entities, using the paralegal as the “fall guy,” and through the use of local attorneys. But rather than arguing against the sanctions award on the merits of whether it was proper to award the sanctions, they appear to have been offended by the implication of having broken criminal law in what Judge Pregerson called “an ingenious extortion fraud [scheme].” Thus, they instructed attorney Voelker to request that the court REMAND (meaning, return to the lower courts as a “do over”) the case to the U.S. District Court so that they can properly defend the insinuation that they committed one or more crimes while running what was — at the time — the most successful copyright trolling extortion scheme in existence. ITEM 2) Attorney Daniel Voelker appeared to be woefully unprepared for the hearing. When asked about the details of the various copyright troll lawsuits filed by Prenda Law Inc. / Steele Hansmeier PLLC / Steele Law Firm, PLLC, he was unaware of anything other than what was the subject of the appealed case. This was surprising to the judges, it was surprising to me, and I am sure it was surprising to the hundreds of “fans” who were watching the hearing live and streamed over the internet. How could this attorney not be aware of the hundreds of other filings that his client took part in?!? I also want to point out that YET AGAIN, STEELE, HANSMEIER, AND MARK LUTZ THE PARALEGAL WERE NOTORIOUSLY ABSENT FROM THE PROCEEDINGS. ITEM 3) Simplifying the discussions of damage multipliers and other damages issues that were discussed, the jist of what the judges needed to decide were 1) whether to uphold the sanctions award against Prenda Law and company, and 2) whether to remand the case so that the questions of criminal conduct could be hashed out. IN MY OPINION, again, this whole Prenda Law fiasco is a circus. John Steele and his buddies have been “gaming” the system since they began, and even when their whole scheme came tumbling down around them, they turned to lying, cheating, and misdirection in order to get around the rules. Nothing will right the wrongs that were inflicted on tens of thousands of internet users except seeing each of these attorneys disbarred and jailed for criminal conduct. Yet I cannot see this happening because notorious criminals today too often go uncharged. Judges too often find the “lazy” alternative of slapping an attorney with sanctions, and then not following up on their order when the attorney weasels their way out of paying those sanctions. This is a sign of a corrupt system, and as much as I have faith in the law, I do not have faith that the judges will inflict stern judgement (“fire and brimstone”) against a bunch of lawyers who look more like a**clowns in the courtroom. Thus, it is my best guess that the sanctions will not only be upheld, but they will be strengthened and perhaps multiplied. However, as for the criminal prosecution of the clowns who perpetrated this grand heist of an extortion scheme, their activities will go unpunished. Maybe they’ll lose their law licenses (noting that in part, this has partially happened to some of them). Maybe they’ll be held personally liable without the shielding of the corporate entities they tried to use to hide their involvement in these cases. Maybe one or more of them will need to continue to hide their money indefinitely and file for bankruptcy. Maybe one or more of them will need to move out of the country and live out their days on a beach somewhere. I don’t see orange jumpsuits in anyone’s future here. Not in today’s lawless society. AF HoldingsbittorrentCaliforniacopyrightcopyright trollDaniel VoelkerJohn SteeleJudge Otis Wrightpaul hansmeierpeter hansmeierPrenda Law Inc.